We have a client base across the industry spectrum covering software, services and manufacturing sectors. 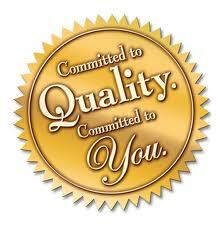 We partner with our clients on their quality objectives and are with them on their quality journey. One of our clients Ami Polymers, (www.amipolymers.com), based in Ankleshwar, Gujarat is India’s leading company in the field of specialized industrial applications. The company develops and carries out specialized polymer coatings on equipment used in pharmaceutical, chemical, petroleum and automotive industries which gives the equipment special characteristics like chemical resistance, high temperature resistance, low coefficient of friction, non wetting etc. We have been partnering with them in the implementation of Quality Management Systems, driving process improvements and complying with ISO 9001:2008. When one of India most respected educational publishers, M/s Navneet Publications (www.navneet.com) had a high value, high stakes order to execute for the world’s largest retailer Wal-Mart, they chose our expertise and execution capabilities to help through Wal-Mart’s supplier evaluation and due diligence audits. Through immediate and extensive actions covering physical / information security, threat assessments, process trainings and other aspects covering people and products, we helped Navneet rectify all the concerns raised by Wal-Mart and Navneet is now certified to work with Wal-Mart. We help Navneet sustain their Integrated Management System (IMS) at all sites encompassing their Quality management system (ISO 9001), Environmental management system (ISO 14001) and Occupational health & safety management system (OHSAS 18001). The team at Raise The Bar has spent time on understanding the services we provide, our internal processes, activities, work flow and then driven systematic process improvements within our organization. The training sessions conducted have raised people awareness about Quality Systems, their benefits and their adoption. Our ISO 9001:2008 surveillance audit went off without any non conformities. Manoj Akkad – Partner, Ami Polymers. The Wal-Mart security audit went off well. Thanks for your guidance. 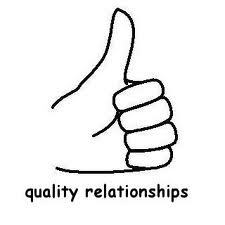 We are happy with your team’s on the ground thinking coupled with their depth of subject knowledge. I am impressed with Raise The Bar's proactive attitude of reaching out to all our stakeholders to meet our goals. We all worked as one team and I really appreciate your commitment to our objective. I am confident, we will achieve many more milestones together. Nilesh Gala - General Manager, Navneet Publications (India) Ltd.